I figure out I should start monthly favourites to dump all the good stuff I have tried at the end of the month onto this blog. Sometimes (well, most of the time actually), I don't have enough time to blog a full review post, so this section will compile all the good stuff that I want to introduce to you. This month is a low month for me because I took a vow on cutting out my purchase. This recipe is so simple. First, melt 1/4 stick of butter. 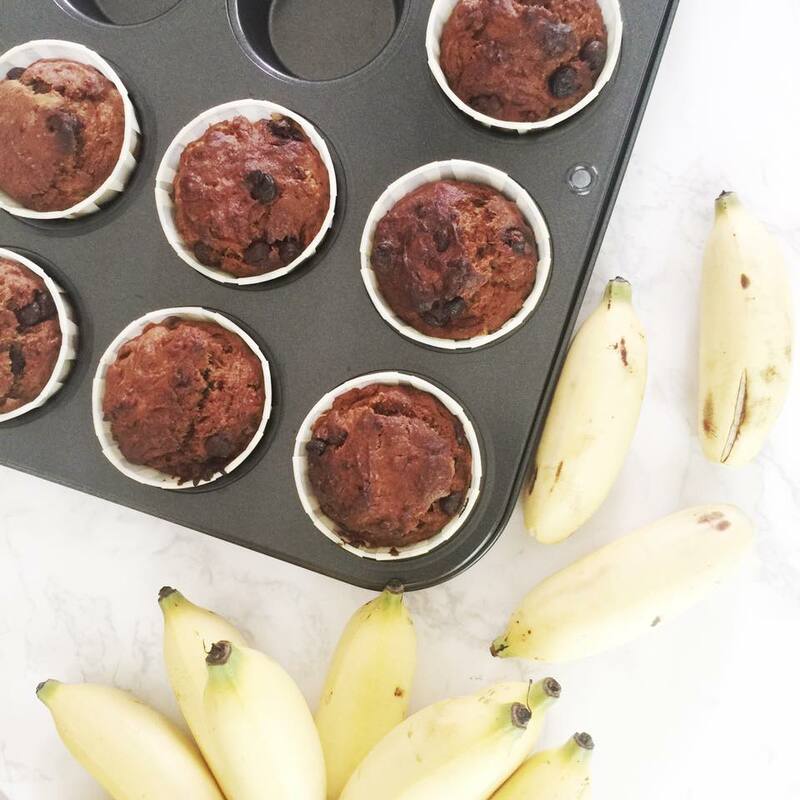 Add ripe bananas (4-5 pieces) into a mixing bowl with the melted butter. Add brown sugar (3/4 cup) and vanilla essence (1/2 tablespoon). Mash all the ingredients until the banana is crushed into small pieces. Add flour (1 and 1/2 cup), baking powder (1/2 tablespoon) and baking soda (1/2 tablespoon). When all the ingredients are mixed together, add chocolate chips (amount up to you to decide). Scoop the mixture into cupcake cups and then bake them at 200 degrees celsius for 15-20 minutes. While I was searching for beauty products to shop for in London, I accidentally found the London Beauty Queen beauty blog. The writer started as a beauty brand manager. Her blog had won many blog awards. 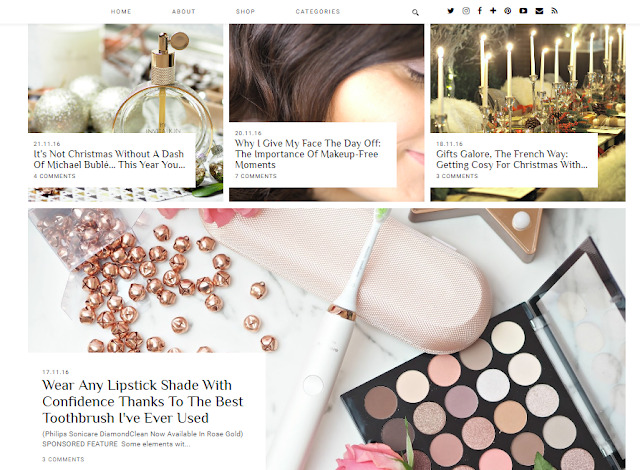 What I love about the blog is the unique write-ups (appreciate her unbiased opinion on beauty products review) and her creative flatlays. If you don't know me personally, you might not know that I am suffering from mild scoliosis. It is a medical condition where the backbone is in an abnormal shape. Because of the condition, my left shoulder is constantly in pain (there is never a minute that I don't feel the pain) due to the backbone curve pushing my shoulder muscles upwards. As a result my muscle is strained. I stumbled upon this backstrap in a medical supply shop and got it. I only put it on while at home when I am doing housework. Although it doesn't heal my problem entirely, I do feel less straining on my left shoulder. At the same time, I feel some tingling feeling on my left waist (on the spine area), which I translated it as an improvement. Hopefully in a long run, this backstrap can help my backbone gets it shape back. If you are in your 30s, you should really start taking care of your backbone.Taking calcium pills, drinking milk and putting on back support like this are the little efforts which you can take. Your older you will thank you for it. I didn't like sweets or candy in the beginning. This is because my mom has a grocery store and I was always surrounded by sweets & candies. Recently, I put a pack of Haribo Worms into my shopping cart and then I became a convert immediately. And now you can see me with a pack of Haribo anytime and anywhere. I even tried to convert my colleagues. Whenever someone pass by my table, I will be offering them, "Do you want to have some worms?" This is the lazy girl holy grail product. It is called 3-in-1 cleanser is because it is (1) a regular cleanser, (2) it removes makeup at the same time you are doing your cleansing, and (3) it is a mild scrub which can be used on a daily basis. You see why I call it the lazy girl holy grail? If you are a lazy girl and want to have a thoroughly clean skin, you should incorporate this cleanser into your skincare regime daily. By the way, I am also a Mary Kay beauty consultant. If you are interested to try this out, do contact me. I will be putting up my monthly favourites at the end of each month. On this section, I will be sharing the good stuff I have experienced personally. If you have any good stuff to recommend to me, make sure you do let me know so I can check it out as well.